Thanks for stopping by my blog. You sure are cute! 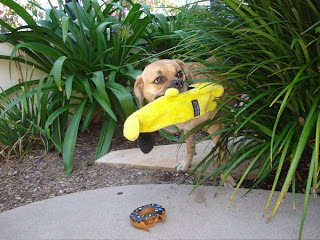 I love your new toy! Wow Jess, you're a professional blogger already! 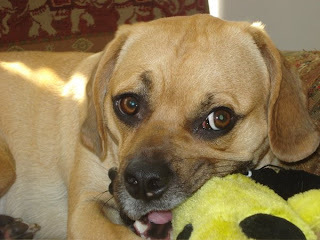 I love what you're doing with the blog, now we need to combine powers and get some killer shots of the best looking puggle on the inter-web so that we can drive up your status to super puggle blogger. I know we can do it. 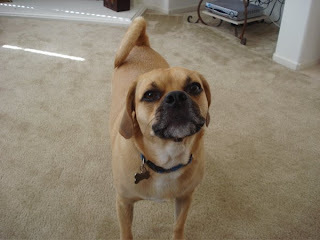 Oh, but first ask Murph if he's okay with people checking him out on the web so often, I think he'll be fine with it. nice to meetcha' murph! you look SO much like me! thanks for stopping by the blog. 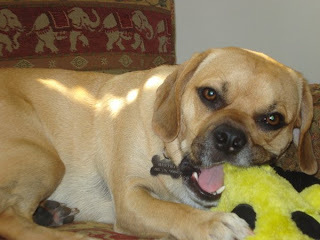 please join the puggle posse! 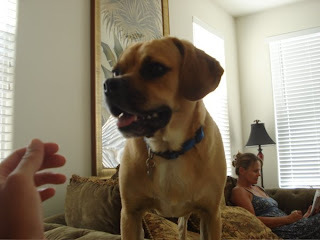 Hello Murph, It is very nice to meet you. We look forward to reading about your adventures. ps. your new toy sounds very interesting! I will have to ask mommy to find me one too! Piggle here from the afterlife! just wanted to plant the seeds for a murph mov. with an idea my friend had suggested and he never got together. a small point/shoot w/video taped to his collar so to get his viewpoint of his roamings! if he loves to roam thru flowers and vegitation that towers him as i did it could be beautiful!